"Our own Self-realization is the greatest service we can render the world"
The simple but powerful teachings of Sri Ramana Maharshi, one of India's most revered spiritual masters, continue to enlighten and enrich over sixty years after his death. Be As You Are is the definitive compendium of his knowledge, edited by the former librarian from Sri Maharshi's ashram, which can be found flourishing at the foot of the holy mountain of Arunchala. The book collects conversations with the many seekers who came to him for guidance, answering the questions sought on the road enlightenment. 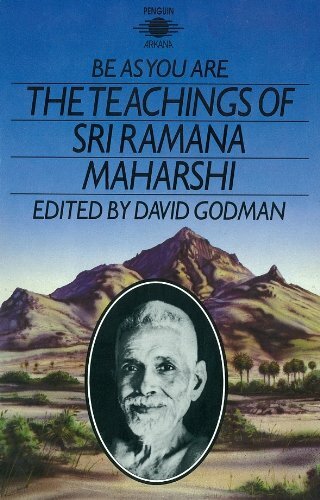 Through this book, we can discover the essence of Sri Ramana's teaching: that self-realisation is the vital quest we must all pursue, before we can attempt to understand the world. Reissue of the classic spiritual work, updated with a new cover.